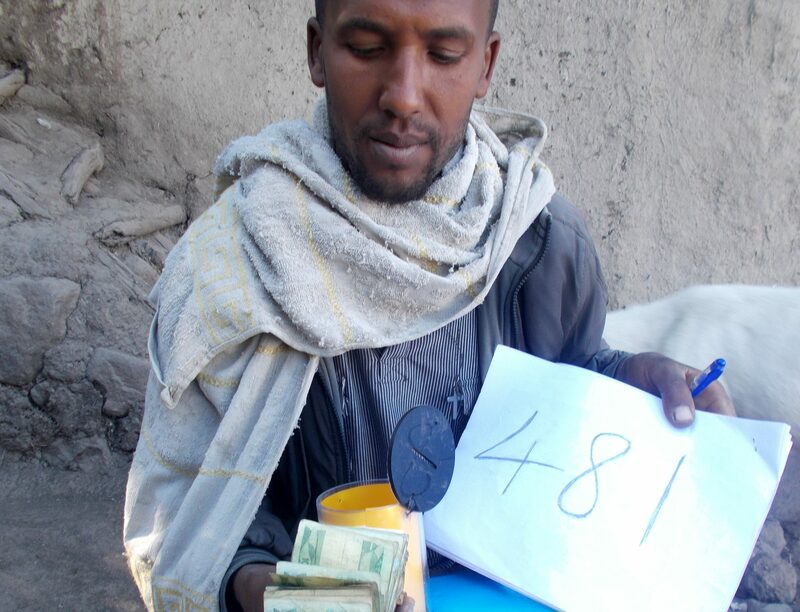 We partnered with a local microfinance institution and Mekelle University in Ethiopia to design and conduct a randomized controlled trial to test new saving products for farmers. In this area of the country, the majority of the population consists of smallholder farmers. These smallholder farmers are exposed to high levels of income volatility due to the agricultural cycle: they have high income in the harvest season and low income for the rest of the year. Household savings are therefore crucial to overcome financial hardships at some periods of the year and to enable farmers to make necessary investments in land and agriculture or other areas. Increased savings has been shown to improve a range of development outcomes (Karlan, Ratan and Zinman 2014). Previous research has found a number of reasons why people may be prevented from achieving their optimal savings level, many of them motivated by results from behavioral economics such as time-inconsistent preferences. The savings innovation takes into account the farmers’ agricultural and cash flow cycles, and seeks to nudge them to save some of their income for further investments. In collaboration with local partners, moneyboxes were randomly distributed to rural households, along with individually-tailored savings plans. 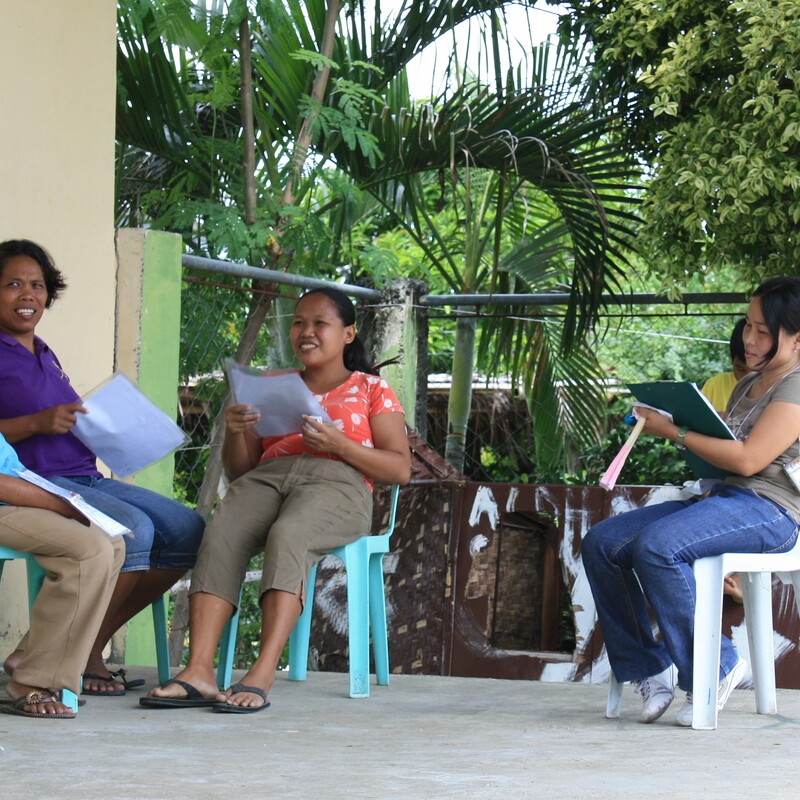 Moreover, the participants were given specific recommendations regarding their savings goal amount. The aim of this project was to test for alternative barriers to savings, especially over- and under-confidence, and to see how they can be overcome using a simple and effective savings technology. In 2014 we initiated a randomized controlled trial in more than 600 branches of our local partner Negros Women for Tomorrow Foundation (NWTF), a Filipino microfinance institution. Based on a small scale initial pilot intervention in two branches, which indicated promising results, the new larger study extends the product. The new product offers different types of “emergency funds” where clients save parts of their incomes for emergency situations. In many parts of the world, including in the Philippines, the lack of protection against financial risks induced by illnesses, accidents and disability, for instance, are an important constraint faced by the poor. When and where traditional social protection is not available, micro insurances, along with other programs such as cash transfer, represent a potential vehicle to mitigate risks and shocks. 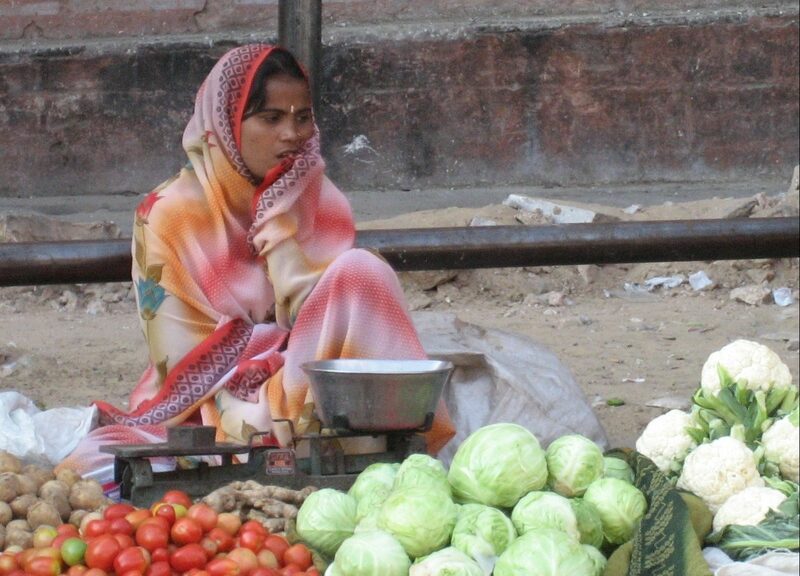 Micro insurance is a powerful tool to enhance the poor’s resilience to risks. Scientifically supported impact evaluations are especially needed in the field of social protection in order to provide better understanding and evidence clarifying which programs are more suitable to the specific contexts and population groups. The innovative product combines the concept of health insurance with emergency savings, where parts of the clients’ income are saved for emergency situations. The emergency fund is an individual insurance endowed by the Foundation as a reward for successfully completed loan cycles. The innovative product is randomly introduced on top of an existing individual compulsory fund. The fund aims at alleviating clients’ financial distress caused by natural and man-made emergencies, such as confinement in a hospital or outpatient health treatment, death of the client or of a member of her family, destruction of property, or loss of assets. In the additional fund, the reward amounts to a rebate of a certain percentage of the total interest payment, and is transferred into the new emergency fund, where the rebate varies in quantity (between 10, 15 and 20 percent). The impact of the innovation is evaluated using a rigorous design (randomized control trial). Large increases in health savings have been found, as well as positive effects on the amount of withdrawals in cases of emergencies.